I've already included it in my fall top 10 bags, but i feel it is not enough to express my love for this bag. 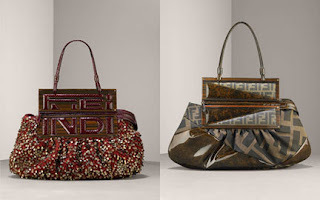 The Fendi "To You Convertible Bag" comes in a huge variation of colors and materials (fabric, print canvas, suede, leather and cute patchworks). Even a 5000$ model, with allover paillettes. The less expensive one is the 1300$ all black, white or multicolor in plain leather. 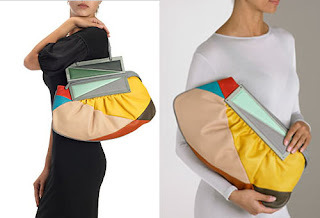 It has a handle, and you can wear it as a bag, on your shoulder. 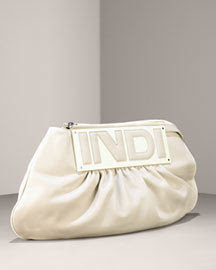 But you can fold it, and there you have it: a large, XXL clutch, the perfect model to be in trend for this fall. 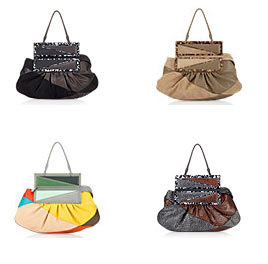 And with all those colors and combinations available, for sure one will match your wardrobe. Plus the design: a little bit future, with those rectangular pieces that flank the zipper. My favorite: the all white leather one!